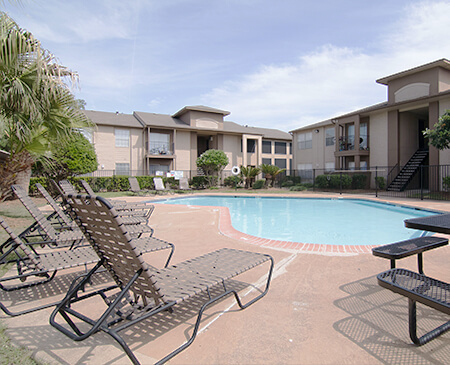 Come home to your perfect apartment at Gables at Richmond in Houston, Texas. Our quaint community is situated in a beautiful treelined neighborhood. We are located just North of the Westpark Tollway your gateway to shopping, restaurants, and entertainment. For amusement, the entire family will have a great time visiting the Quest Shark Adventures just minutes from home. If convenience and location are important factors in your lifestyle you’ve come to the right place. We are proud to offer five spacious one and two bedroom floor plans designed for comfort and style of living. Standard amenities include an all-electric kitchen for preparing meals, covered parking, central air and heating, dishwasher and refrigerator. With amenities such as hardwood floors, bookshelves, and walk-in closets your comfort is our priority. We offer you the pleasure and contentment you deserve. The community amenities offered at Gables at Richmond will surpass all expectations. 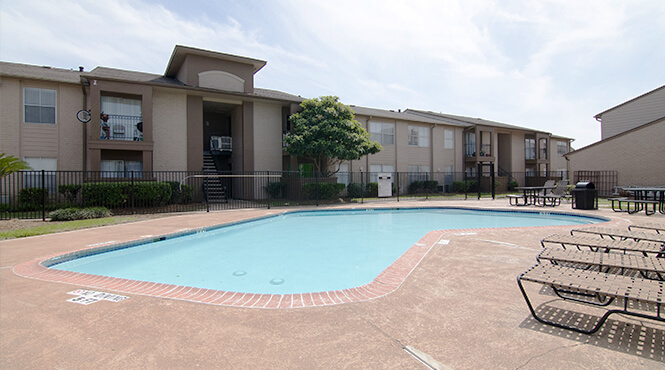 We have assigned parking, laundry facilities, and high-speed fiber optic internet access and an excellent on-call and on-site maintenance team for any needs that may arise. For your active lifestyle check out our fitness center, or take a cool and refreshing dip in our shimmering swimming pool. Give us a call and discover the picture-perfect lifestyle you have always wanted here at Gables at Richmond.